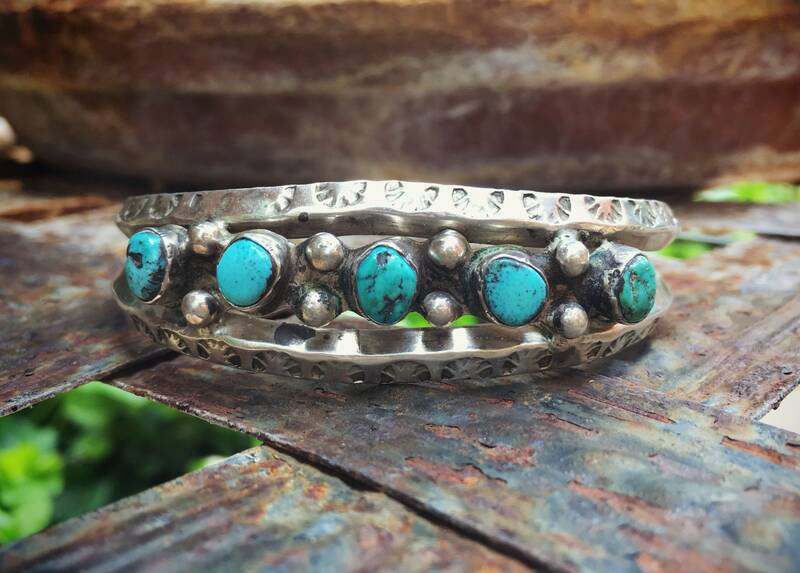 This bracelet features five cabochons of natural turquoise set between two fairly rough and primitive looking silver chanks with hand stamping along each side. 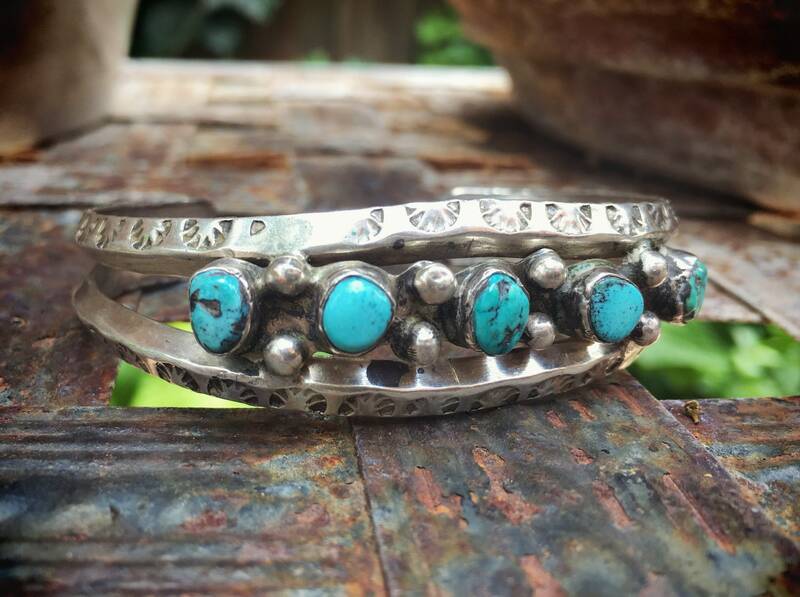 Silver randrops set off each of the turquoise cabs, which are set in smooth bezels. 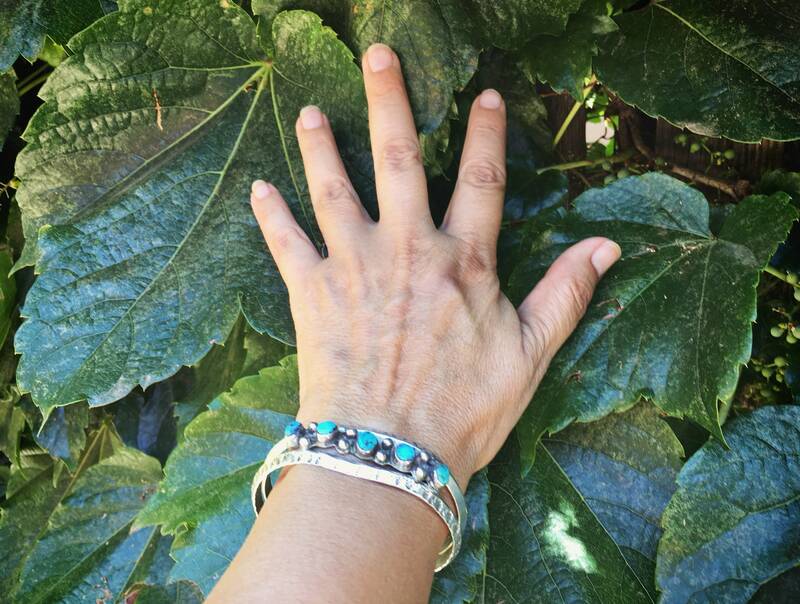 What I love about this bracelet is the more chunky or rough-around-the-edges look, which would appeal, I think, to more of a free spirited soul. 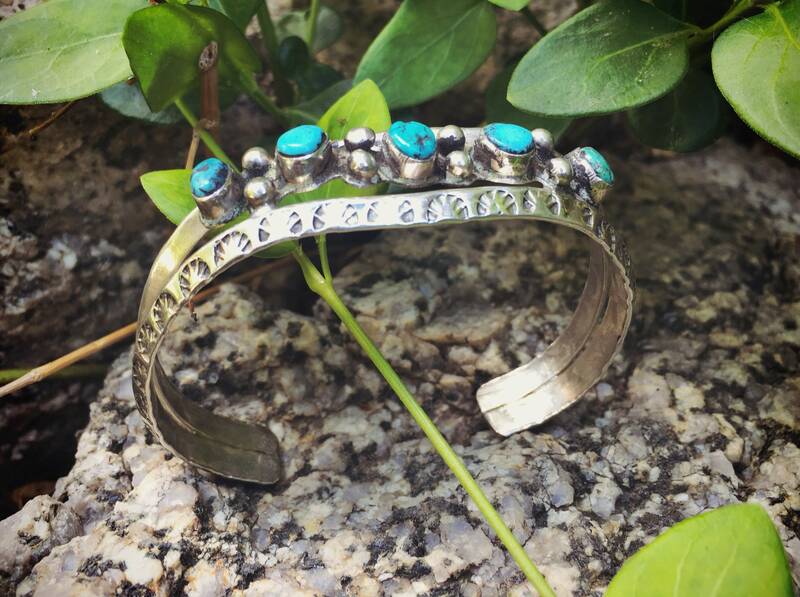 It's also a great unisex cuff, should it be the right size. 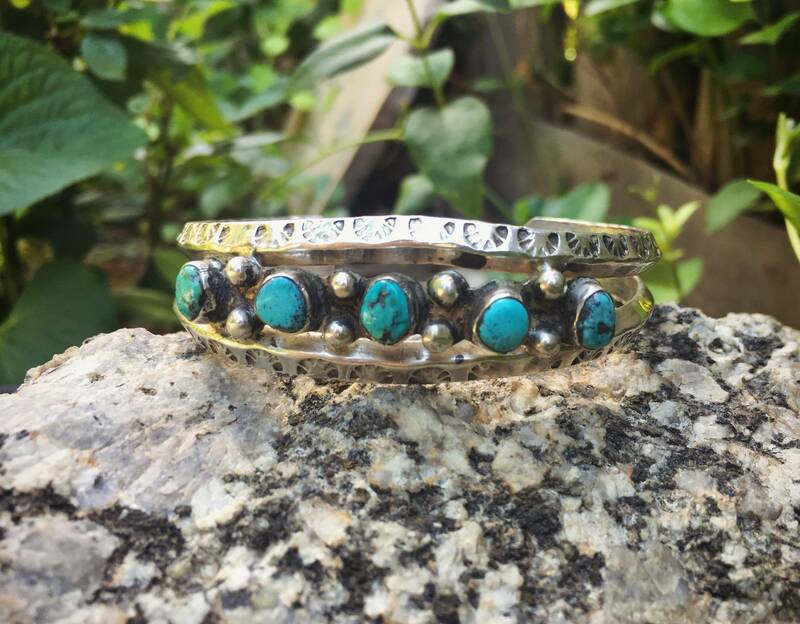 It's not a bracelet you'd want to squeeze nor open, as doing either would cmopromise the turquoise settings. It is unmarked and unsigned. 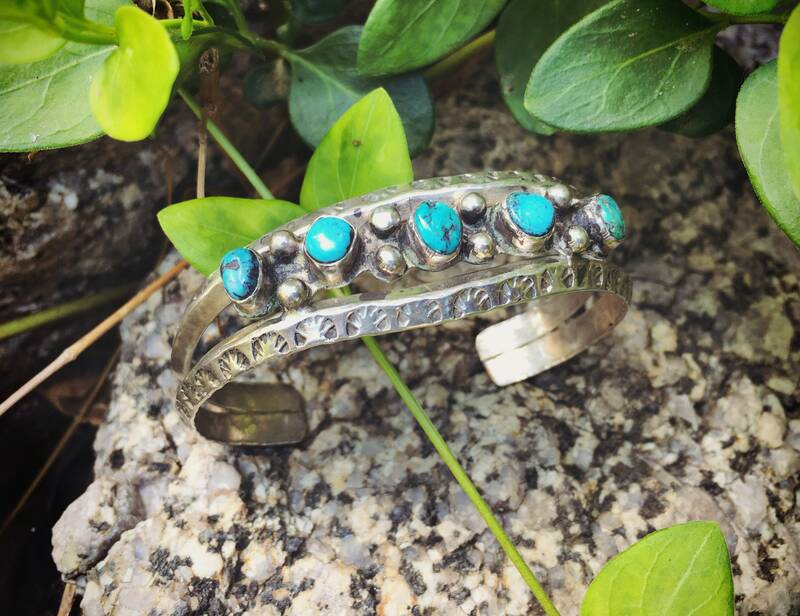 Tests positive for sterling silver, and while we can't say for certain that it's Native American, we believe it to be Navajo. The bracelet measures just about 5-5/8" around using a tape measure on the inside, with a 1-1/4" gap--so 6-7/8" total. 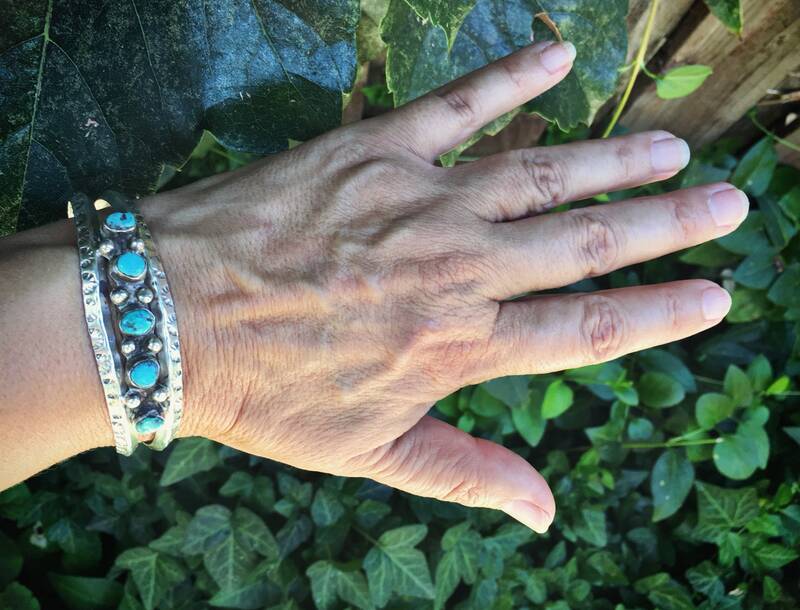 The bracelet is 3/4" wide at the widest point. Was polished a bit more than I like by the previous owner before selling, and there are a couple of spots where the stamping has worn down. 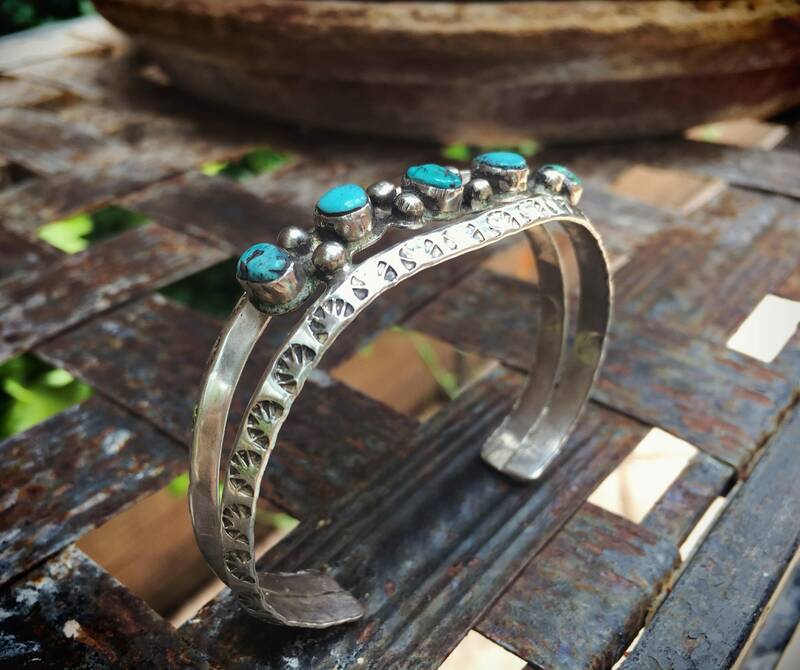 The turquoise is well seated and the piece is in good condition otherwise. 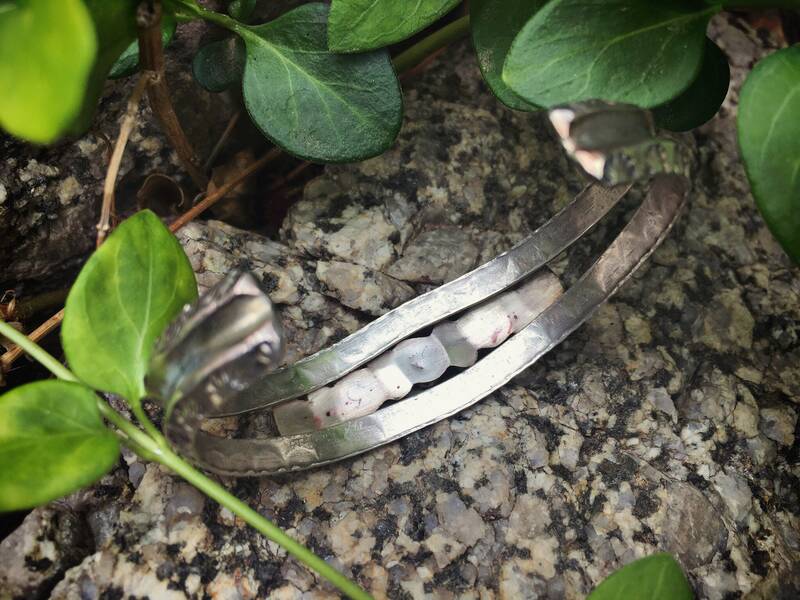 A fabulous piece for the person who likes a more natural look!